El Paso is the county seat of El Paso County in the state of Texas, located at northernmost part of the Rio Grande and neighboring the Mexican city of Ciudad Juarez, Chihuahua. As of the 2016 U.S. Census estimate it has a population of about 700,000. El Paso counts with 4 international bridges, one international rail bridge, and El Paso International Airport. The Port of Entry (POE) of El Paso handled trade flows of over $75B U.S.D. in 2016. 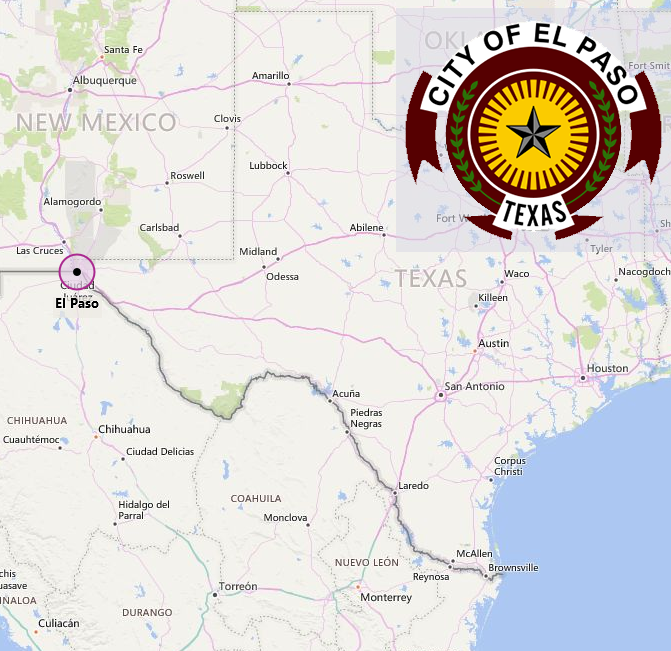 The El Paso POE (2402) is also the head of the trade District of El Paso, comprised of the Texas POE's of El Paso, Presidio (2403), and Fabens (2404), and the New Mexico POE's of Columbus (2406), Alburquerque (2407), Santa Teresa (2408), and Santa Teresa Airport (2481). Mexico Border City: Ciudad Juarez, Chih.